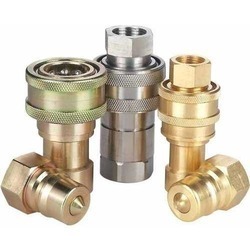 DIXON Crowfoot/Chicago Couplings are designed with a normal or universal claw which enables differing hose sizes and normal bore sizes to be connected. Air coupling are most commonly used for conveying air & water. DIXON Air King Couplings are available in Maleabe lron (BSP & NPT), Brass (BSP & NPT) & Stainess Steel (BSP & NPT). We have been your competent partner for supplying coupling systems from our standard range or special productions in the construction and industrial sectors. We produce fittings for a variety of industries, for application with various gaseous or liquid media. 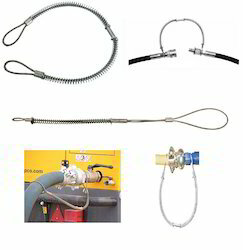 S.H.Industrial Needs is safety conscious and promotes the use of Whip Checks on all pressurized hose applications. To prevent serious injury due to hose or coupling failure, add a Whip Check at each hose connection and from equipment to hose. Install in the fully extended position (no slack) for proper safety assurance. 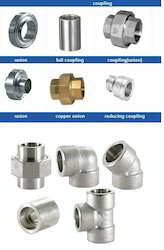 Having year of experience in the market, we are involved in offering best quality of Quick Change Couplings. 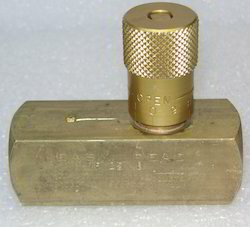 These Quick Change Couplings are extensively used to check the flow of water, air and oil. The offered products are available in the market at most reasonable rates. These products are appreciated among the customers due to their quality. 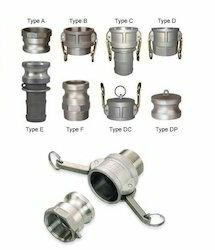 A huge range of Pipe Couplings is offered by us to customers in wide range. The offered Pipe Couplings are extensively used by various suitable applications such as is a very short length of pipe or tube, with a socket at one or both ends that allows two pipes and in many other suitable applications. Our products are of world class quality and available in the market in wide range at most reasonable rates. 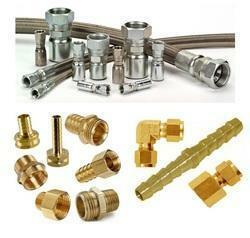 Having year of experience in this domain, we are involved in offering best quality of Hose Fittings. 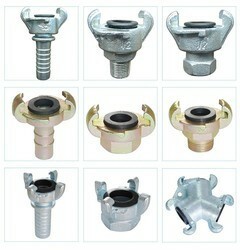 These Hose Fittings are extensively demanded among the customers due to its supreme quality and durability. 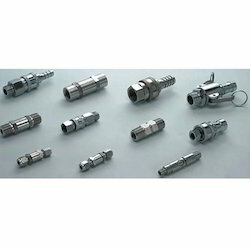 These Hose Fittings are widely used customers us in various suitable applications such as n variety of applications low pressure air hose fittings, sand blast, hose clamp, etc. 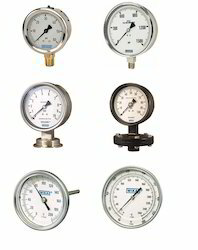 We offer a vide range of pressure gauges from WIKA Pressure Gauges, Vacuum Gauges, Temperature Gauges, Differential Pressure Gauges, Transmitters, Absolute Pressure Gauges, Electrical Temperature Gauges, etc. Wika commercial gauges feature the broadest line of general purpose gauges for end user and OEM applications. They are available in a variety of mounting configurations, lower or center back mounts and are designed for long and reliable service under rugged conditions. All have copper alloy wetted parts and case choices include ABS plastic or painted steel. Wika commercial vacuum gauges feature the broadest line of general purpose gauges for end user and OEM applications. They are available in a variety of mounting configurations, lower or center back mounts and are designed for long and reliable service under rugged conditions. All have copper alloy wetted parts and case choices include ABS plastic or painted steel. 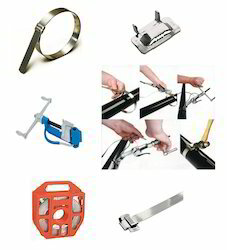 Ludecke double bolt hose clamps offer a reliable hose clamping method. Made from first class materials, these clamps will not crack or split even at high torque settings. 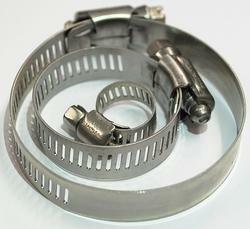 Stainless steel worm drive hose clamps offers the best practical solution for chemical, food and marine industry. It also has a wide application in the automobile and engineering industry. Practical designing using advanced tooling makes them stronger than conventional clamps. stainless steel worm drive hose clamps are perfectly engineered to provide non throbbing surface on the which safeguards the hose from damages. As the perforations on the clamps are done at extended lengths, a recommended clip can be used for smaller diameters in case of emergency requirements. 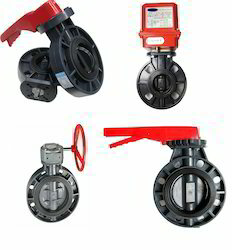 This clamp is available from 1/4" to 24"
Importers of UPVC,CPVC, PP, PVDF,etc Butterfly Valves in Georg Fischer, FIP Italy, Stubbe Germany valves. 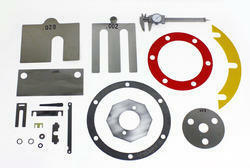 Looking for Hydraulic Accessories ?